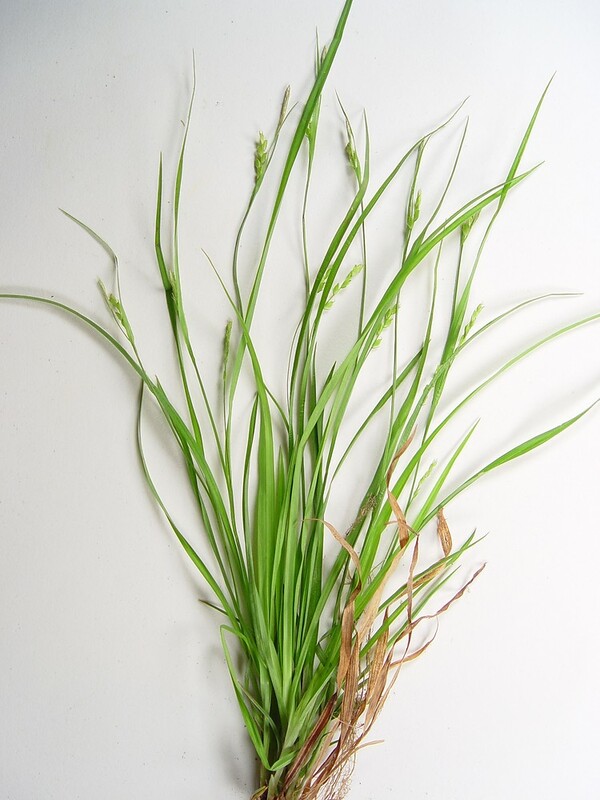 Is your plant in one of these subgroups? 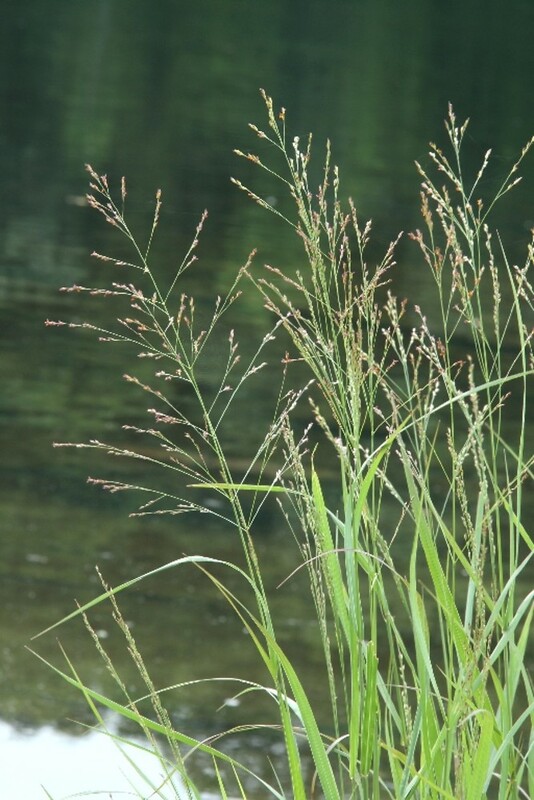 Please go through the subgroups in order. 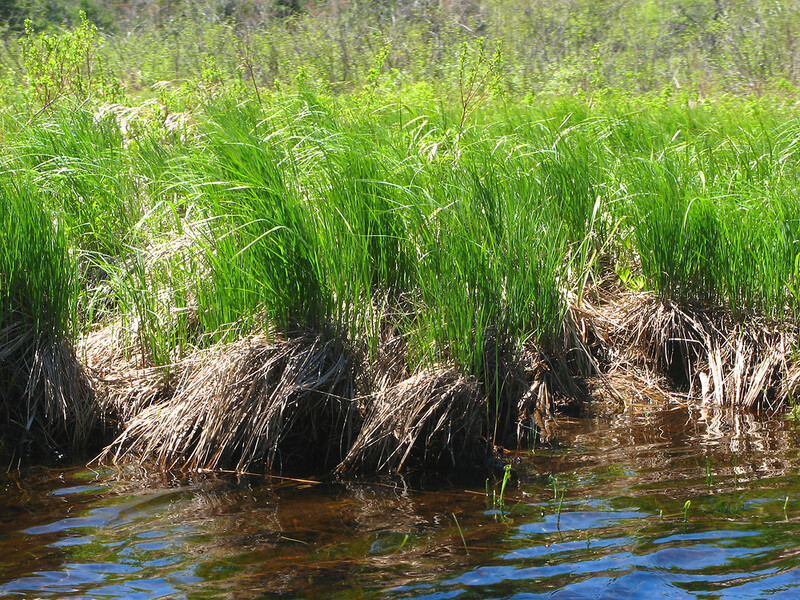 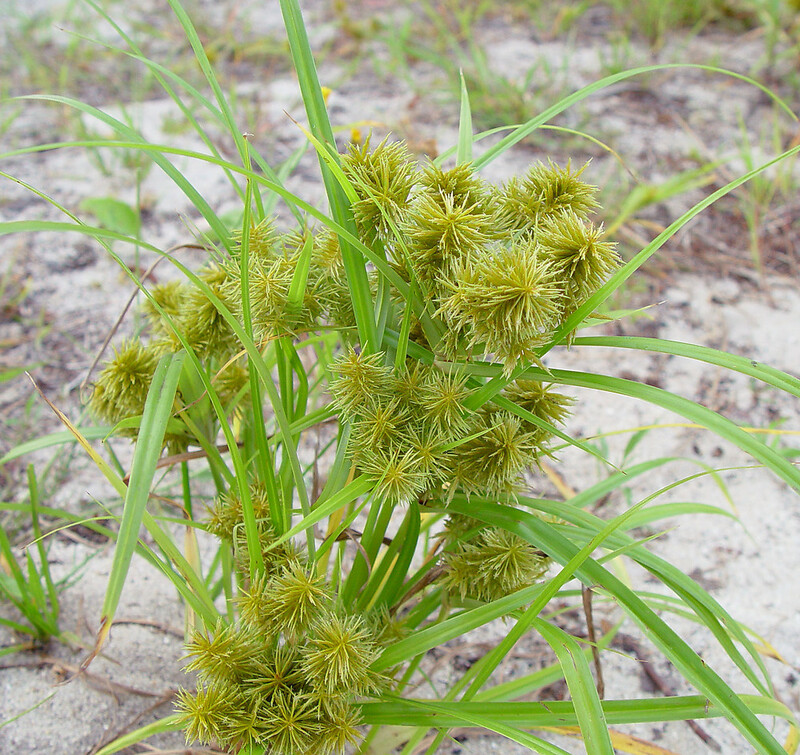 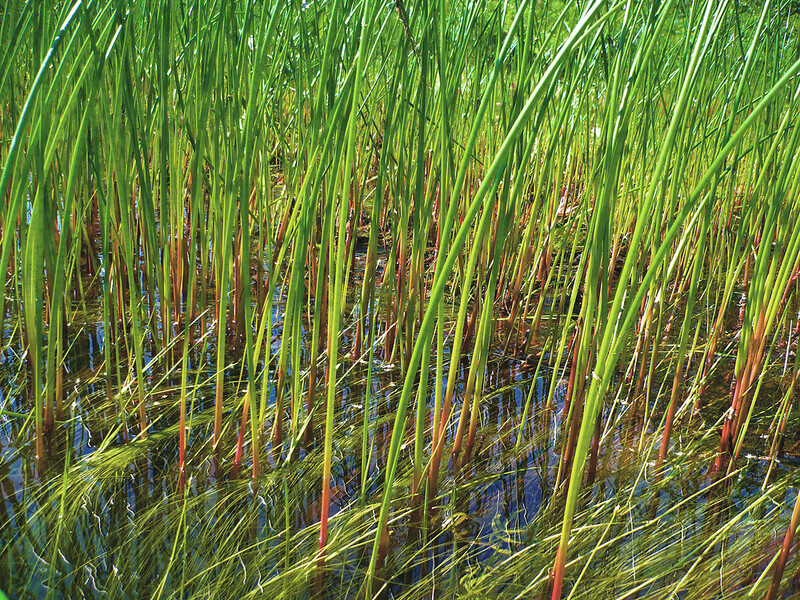 Key Characteristics "Sedges have edges" (note: some non-Carex species do, too). 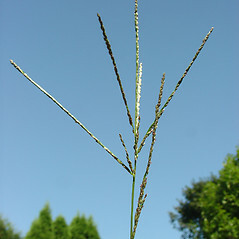 The stem is usually triangular in cross-section. 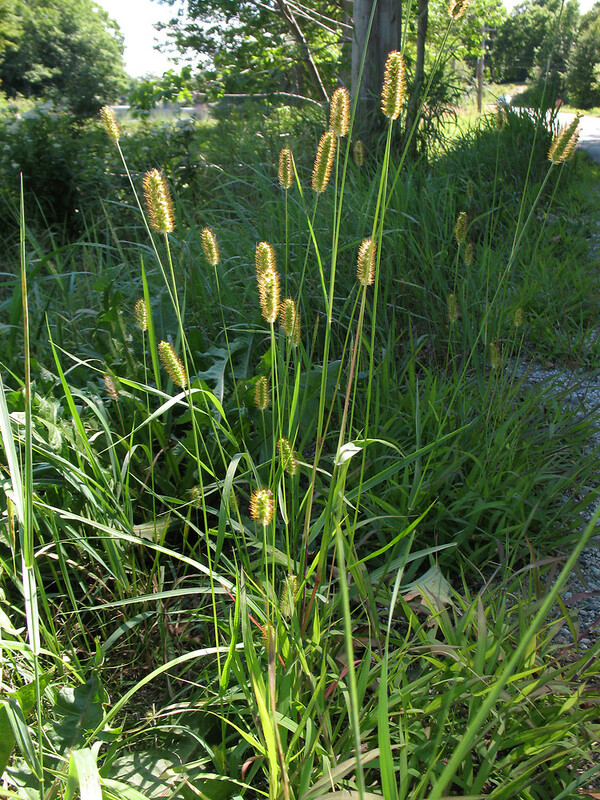 Sedges are easiest to tell apart by their reproductive parts, so try to view a flowering or fruiting plant. 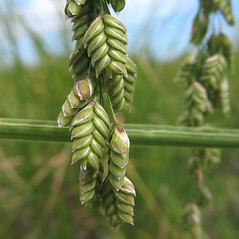 The seed-bearing flowers and their fruits are enclosed inside a sack-like scale called a perigynium. 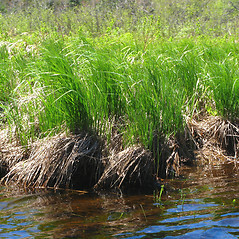 A more-or-less flat scale is positioned close to the perigynium. 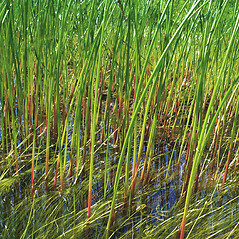 View these under a microscope and note their color, relative size, and shape. 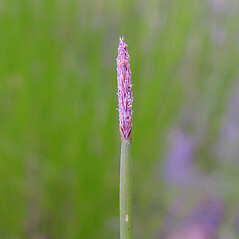 Note the color of the sheath, where the leaf encloses the stem. 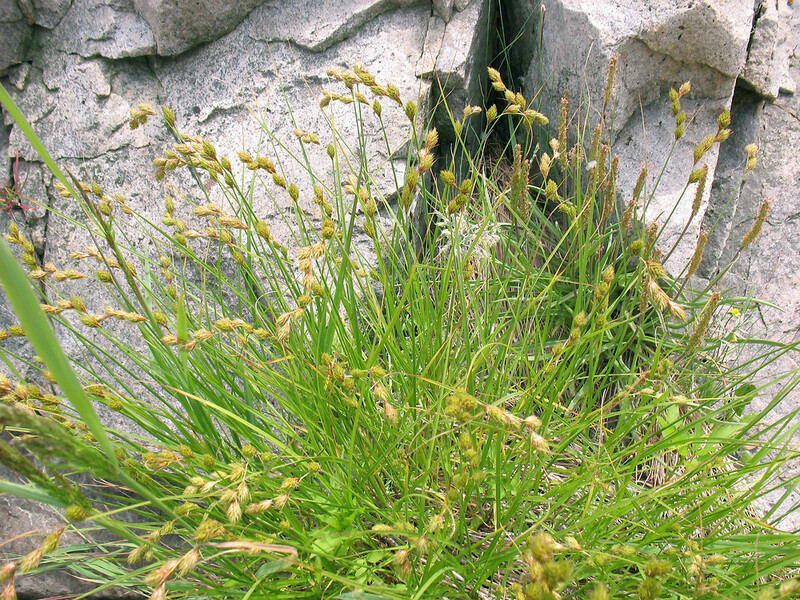 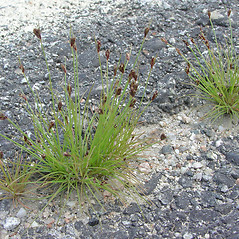 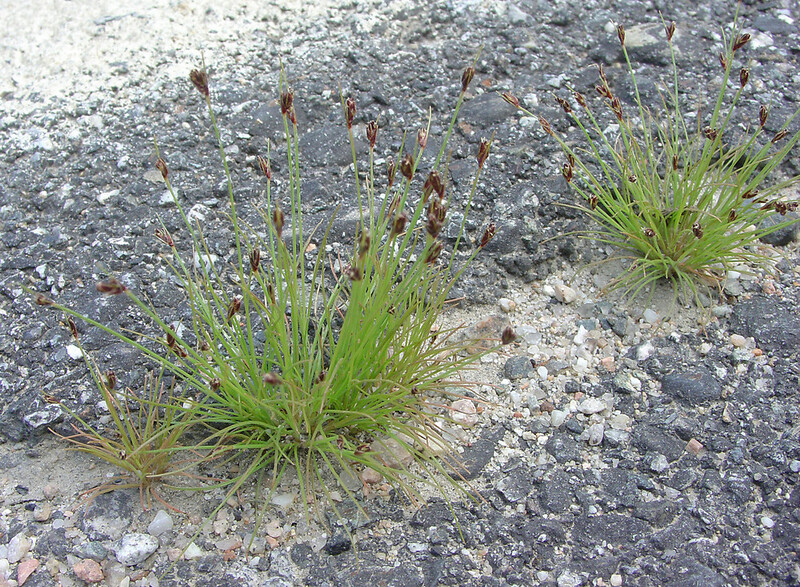 Exceptions Some close relatives of sedges (in the family Cyperaceae) also have triangular stems but produce seed-bearing flowers and fruits that are subtended by a flat scale only (the perigynium is absent). 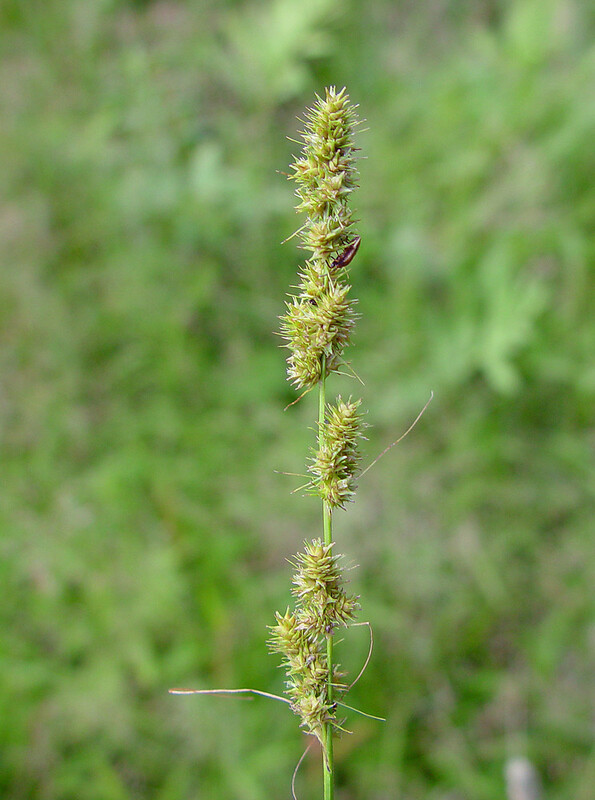 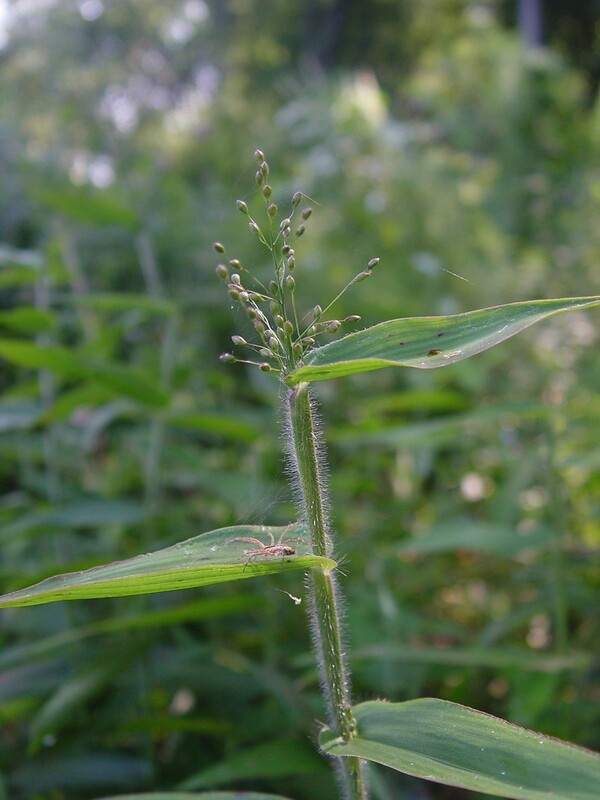 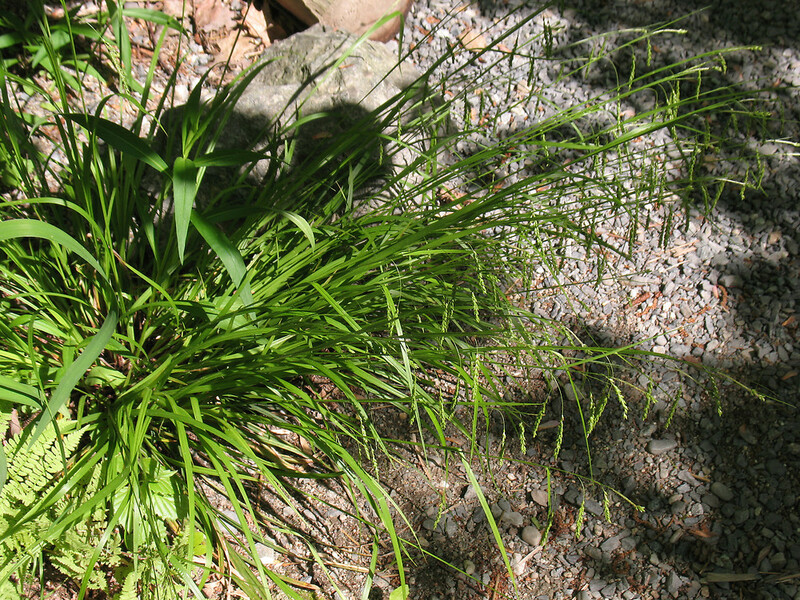 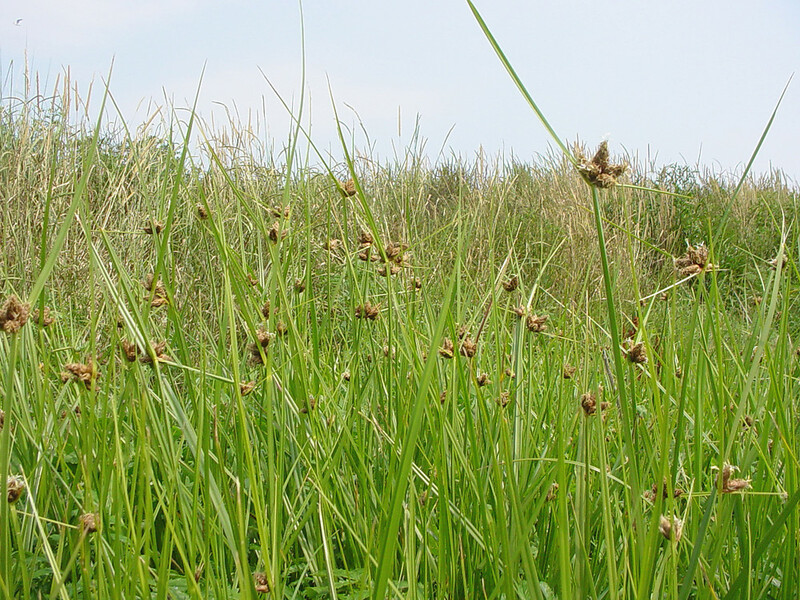 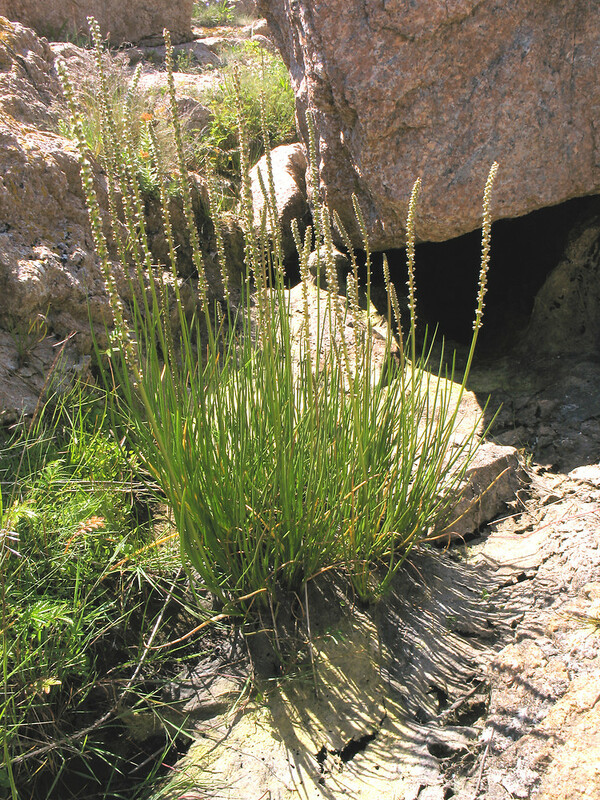 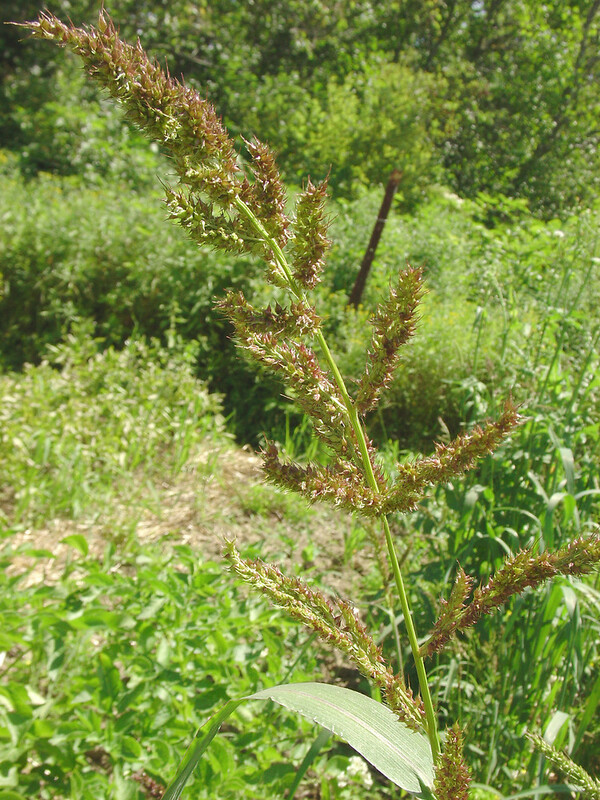 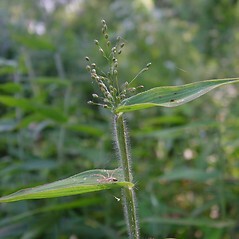 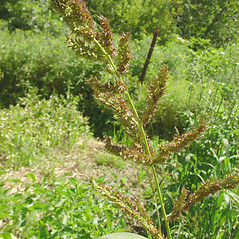 In this key, they are in the group “All Other Grass-like Plants.” Some sedges are very small and it is hard to feel their edges, so try to look at plants with flowers or fruits. 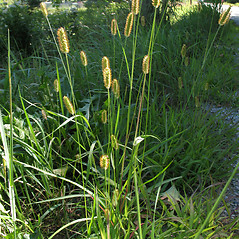 Key Characteristics These very common plants are variable in height and form but most. 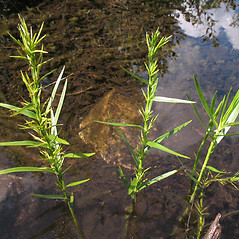 have hollow, circular stems with alternate, narrow leaves that have parallel veins. 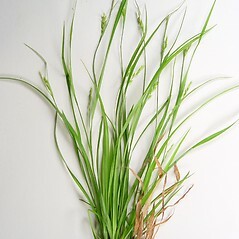 The lower portion of the leaf consists of a tubular sheath that surrounds the stem. 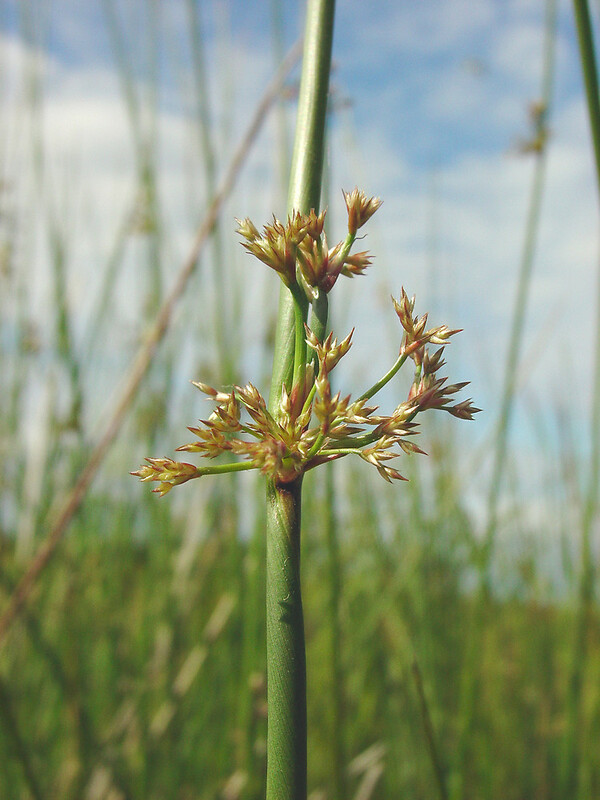 At the base of the sheath is the point where the leaf connects to the stem; this point is called the node and is often swollen. 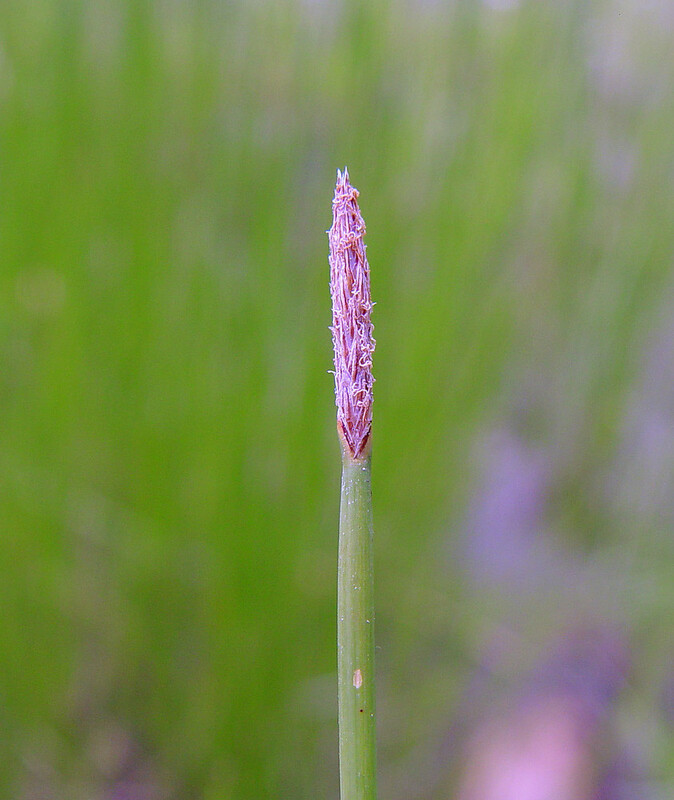 Sometimes there is a flange-like ligule at the top of the sheath. 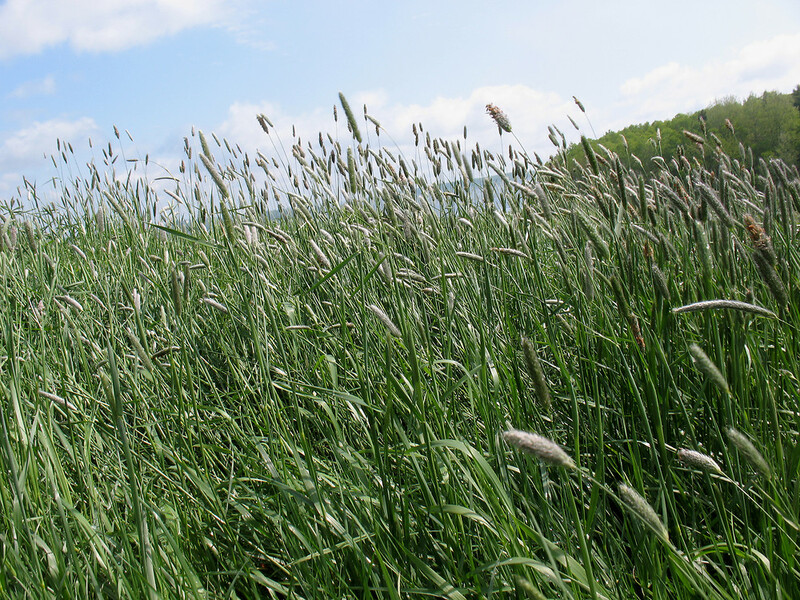 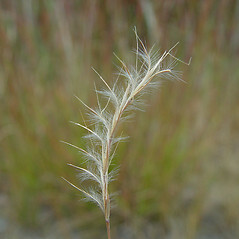 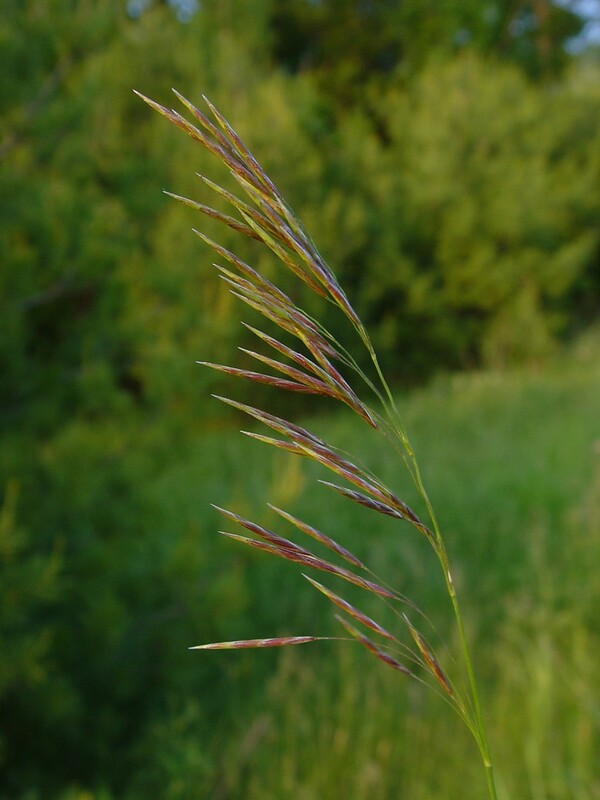 Grasses are easiest to tell apart by their reproductive parts, so try to view a flowering or fruiting plant. 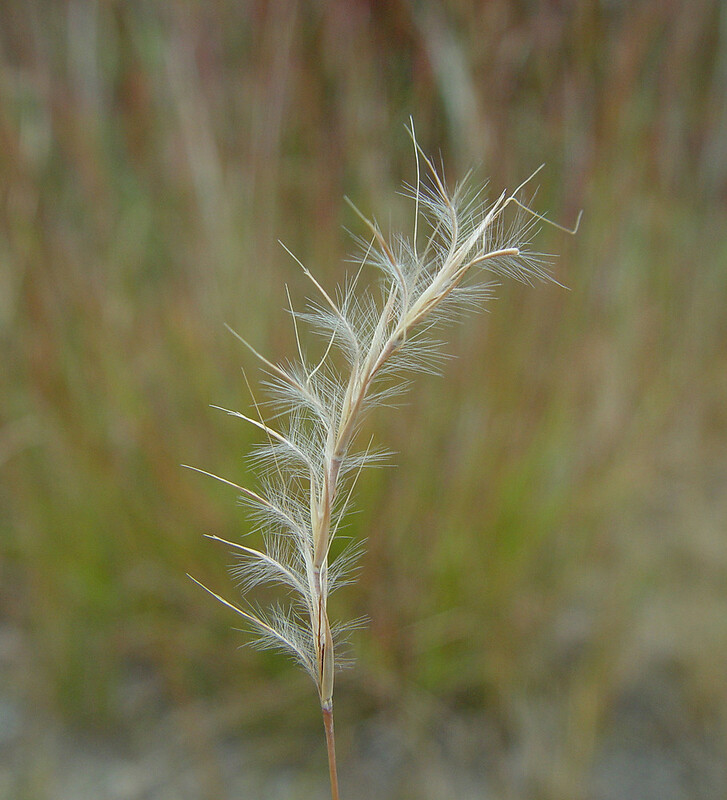 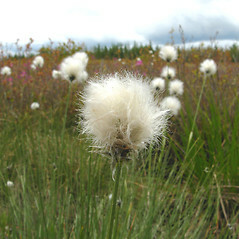 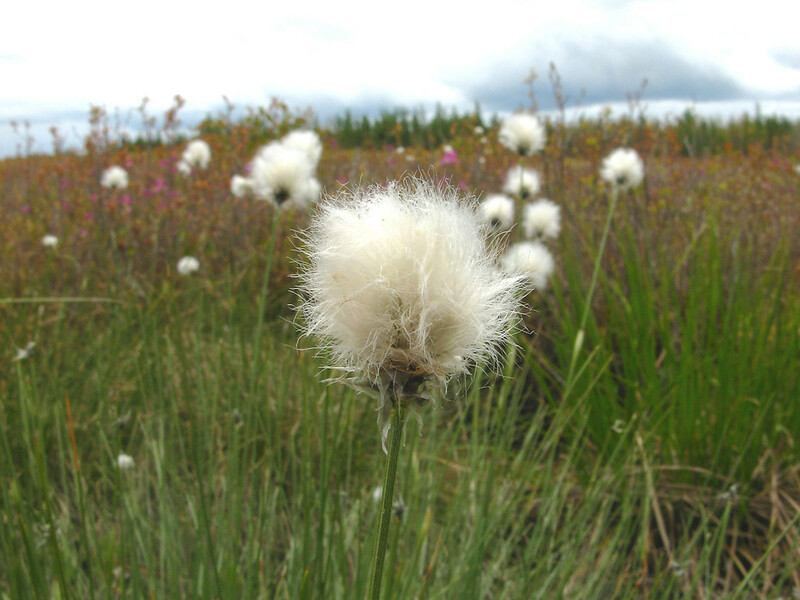 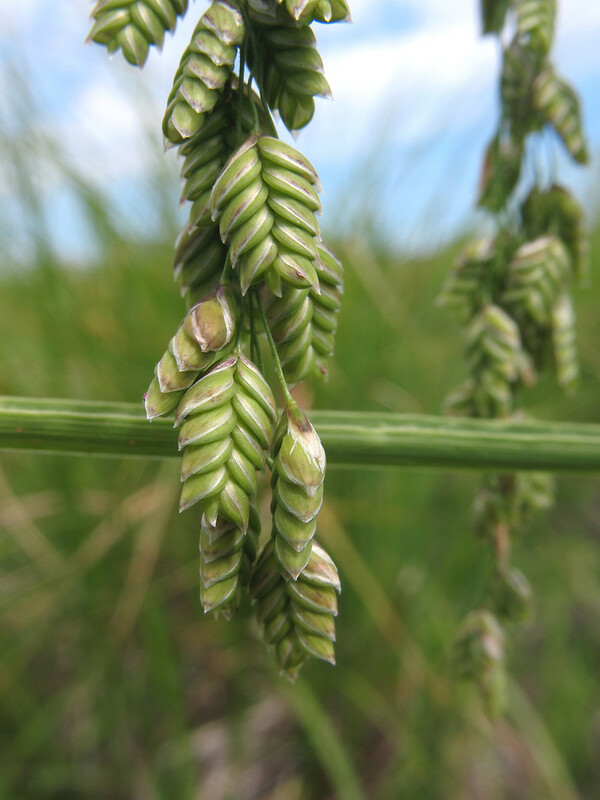 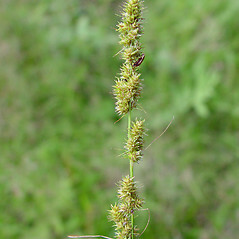 Grass flowers are reduced, specialized and grouped into spikelets. 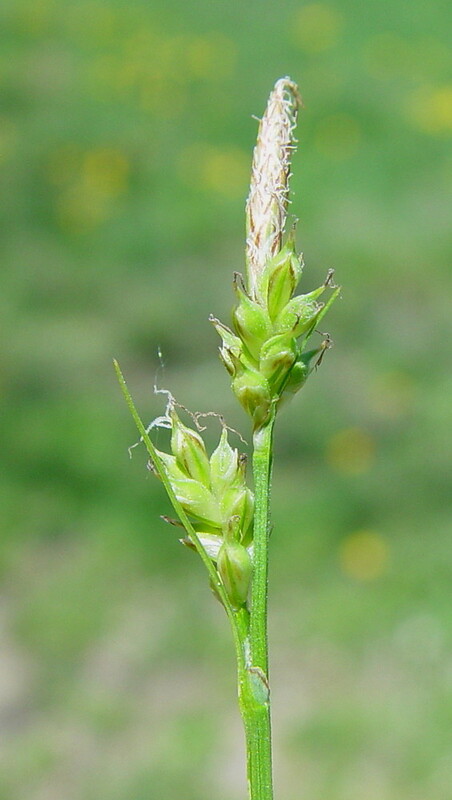 Two scale-like bracts called glumes enclose the base of the spikelet. 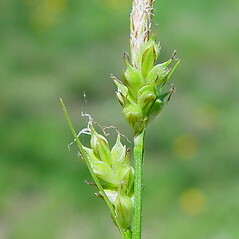 Two bracts, the lemma and palea, enclose each tiny flower in the spikelet. 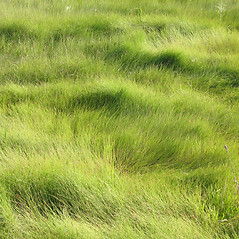 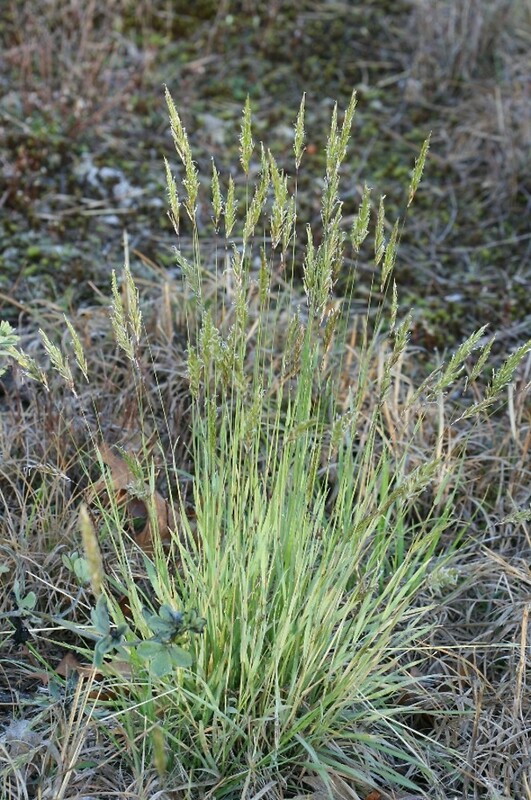 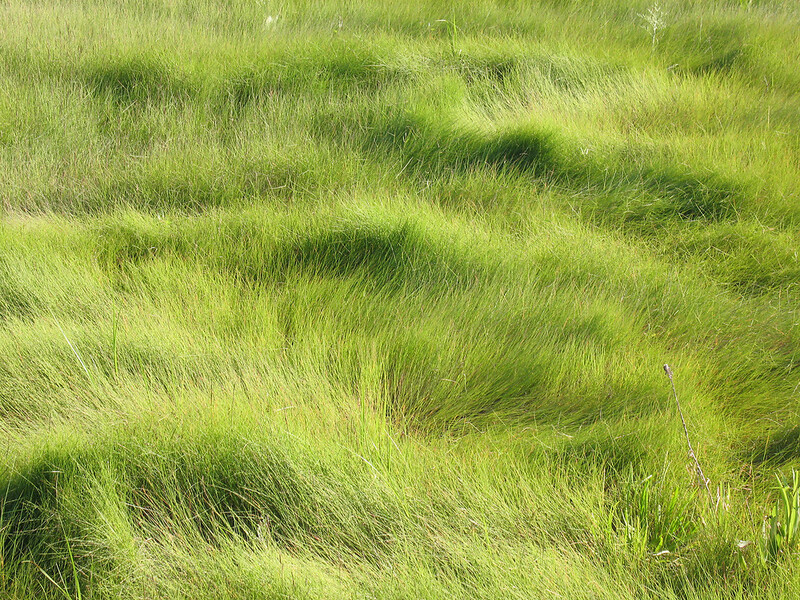 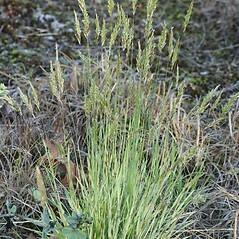 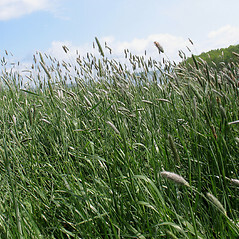 Grasses may grow in tight clumps or as tillers connected by long rhizomes. 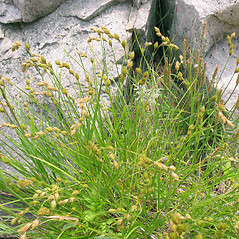 Exceptions Many plants resemble grasses, with long narrow leaves and parallel veins. 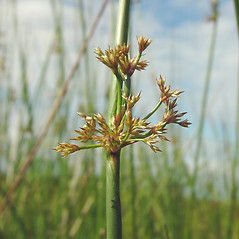 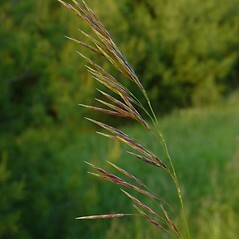 A true grass will have hollow stems, swollen nodes, and unique tiny groups of flowers. 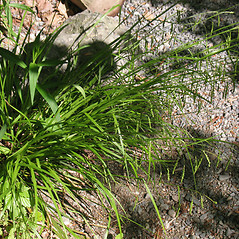 Key Characteristics A broad variety of plants with long, narrow leaves that sheath the stem, some of which may be hollow or have compartments with air spaces. 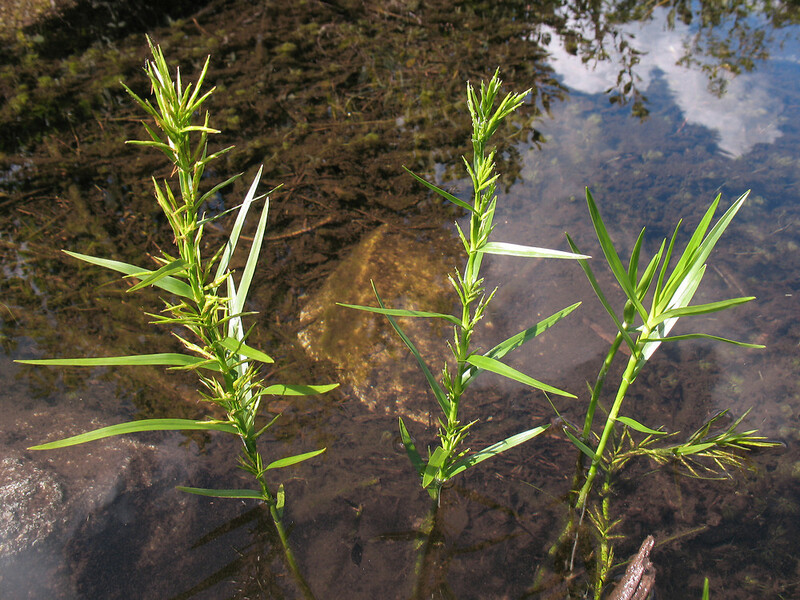 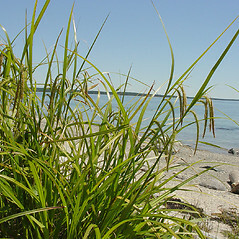 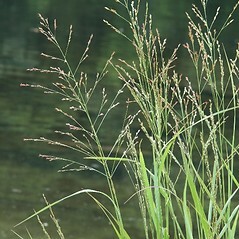 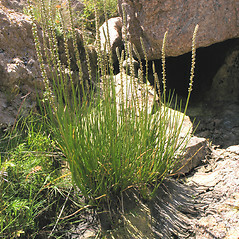 They may resemble grasses or sedges, but do not have a perigynium like sedges, or flowers arranged in spikelets as in true grasses. 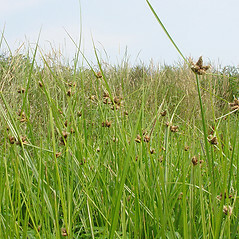 Exceptions If you cannot find your plant in this group, see if it is a grass or a sedge (Carex species). 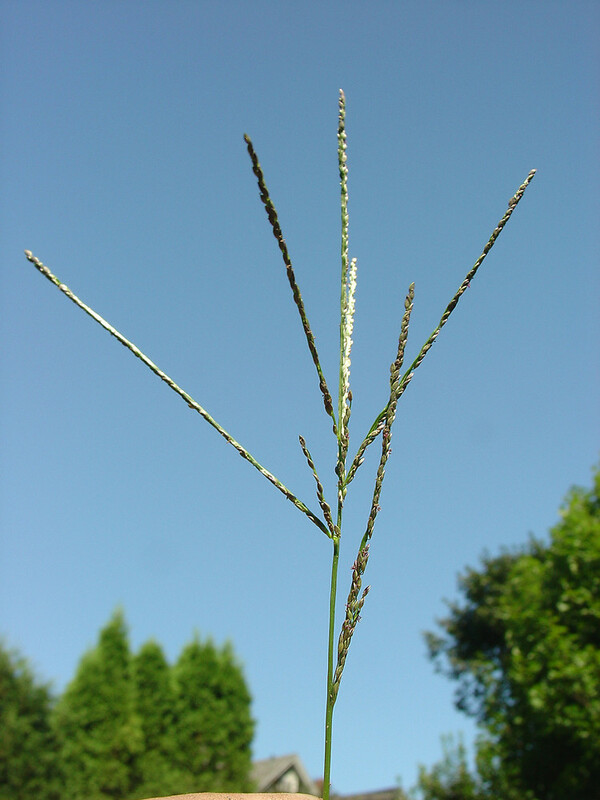 My plant isn't in these subgroups. 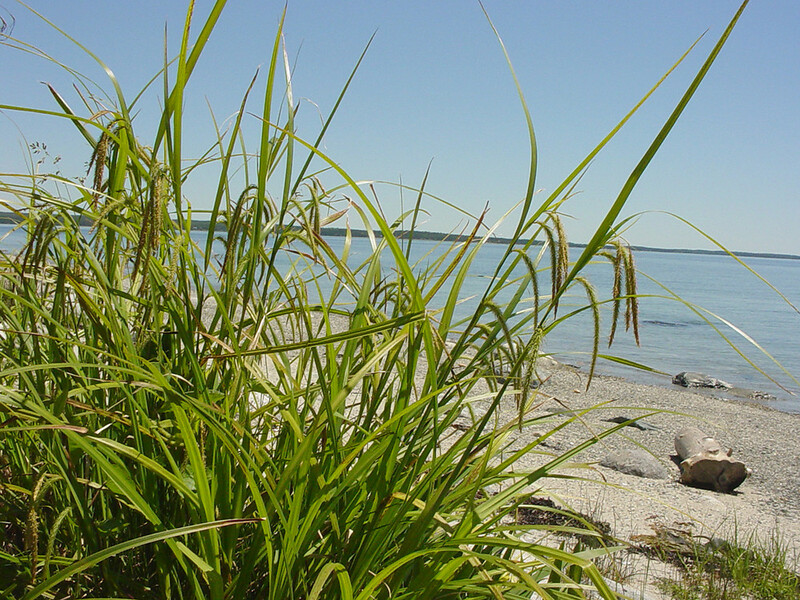 « Take me back a level.